LEXINGTON, Ky. (Sept. 11, 2018) — Faced with a rapidly increasing global population, an interdisciplinary research group at the University of Kentucky, Clemson University and the University of Idaho is examining ways to overcome a major barrier in improving grain yields. Stalk lodging, when a grain stem snaps prior to harvest, is a serious problem in most grain crops, resulting in annual yield losses of approximately 20 percent. 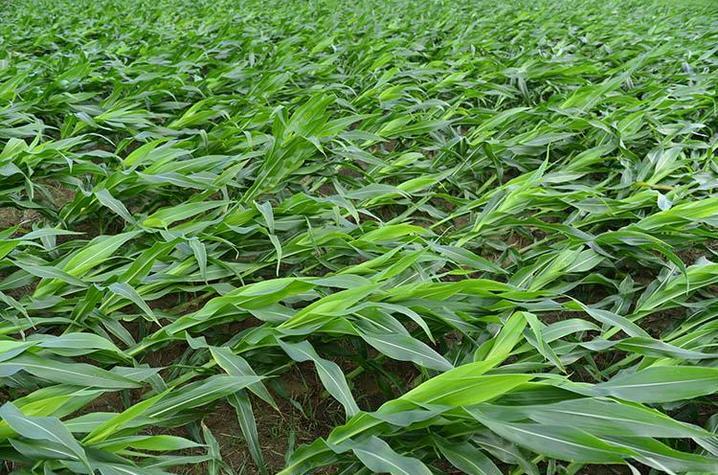 The problem can arise from any number of reasons; high nitrogen levels, storm damage, disease and seed type are just a few of the causes. This four-year, $6 million research project, which is funded by the National Science Foundation, will take a unique approach to studying stalk lodging in corn and sorghum with the intent of breeding stronger plants. The group, the KIC (Kentucky/Idaho/Clemson) Biomechanics Consortium, is an interdisciplinary team consisting of plant scientists, engineers and mathematicians. Combining mathematical modeling with innovative technology, the team will examine the microstructure of large populations of plants to predict the underlying features that cause, and also may be used to overcome, stem lodging. “If they get positive results from this research, it could really have some good impacts on how we grow corn and sorghum and improve yields from Kentucky through the 'I' states and out to western Nebraska — throughout the world for that matter,” said Chad Lee, director of the UK Grain and Forage Center of Excellence. Principal investigator Seth DeBolt, horticulture professor in the UK College of Agriculture, Food and Environment, said the team will tackle the problem from a biomechanical standpoint. Rajan Sekhon, a plant molecular biologist in the Clemson College of Science, has already begun to map the genetic mechanisms behind stem breakage using the new generation devices. A Clemson mathematician, Chris McMahan, will bring additional math and statistics expertise to the project and will further the ability of the team to link the genetics and biomechanics of stalk lodging. DeBolt is an expert on cell walls, which are the key structures in biomechanics. His lab has been actively engaged in studying what creates the strength and the structure by plant carbohydrates. Also at UK, Montse Salmerón, assistant professor in the Department of Plant and Soil Sciences, and engineers Eduardo Santillan-Jimenez and Jonathan Wenk are part of the team. DeBolt sees this research as just the beginning.